Fort Wargame: One in Ten! 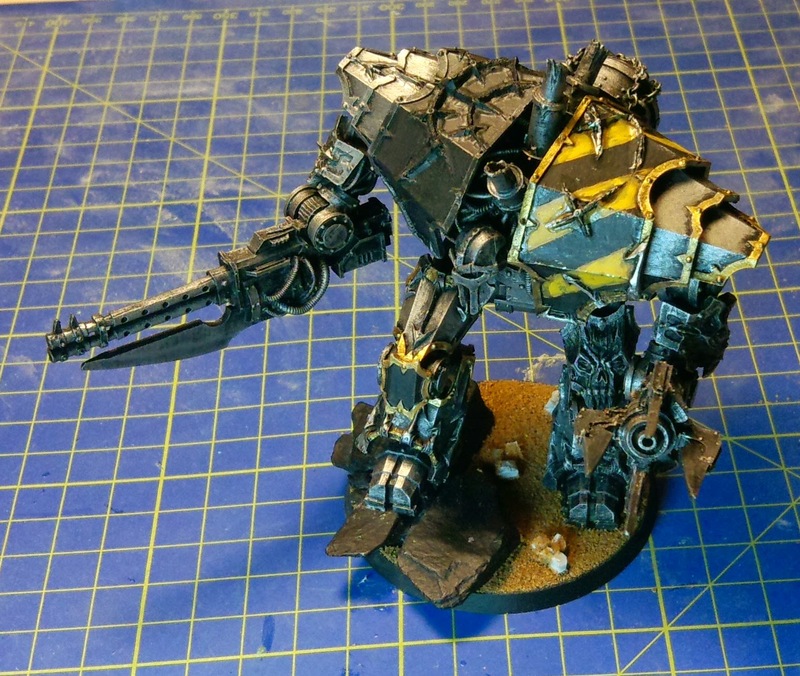 Yes, it's all about decimation, by my new Iron Warriors Decimator! I got this fellow a few years back, but never got around to building him. I found all the bits while reorganising my models ready to move them to the new house, so I threw them together just so I could see how the new basing kits I'd bought looked when used in anger. Well here he is climbing on some rocks and giving followers of the corpse god some hot lead..or something. Still lots of painting to do, but I have an arm injury at the moment and can only paint for a little while at a time - just about right for doing the gold edges on the amour.